Home→News→New Fallen World trilogy covers reveal + giveaway! New Fallen World trilogy covers reveal + giveaway! 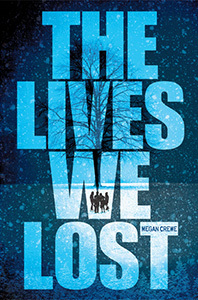 Yes, you read that title right — The Way We Fall (in paperback) and The Lives We Lost are getting a new look. And I’m finally able to share it with you today! 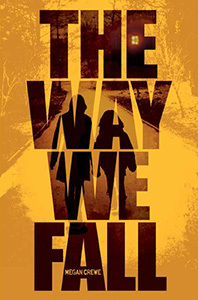 To celebrate the cover reveal, I’m giving away five signed copies of The Way We Fall — in hardcover, with the original cover design, if you want to get it before it’s replaced by the paperback — along with some swag. To win one of those copies, all you have to do is share the new covers online. Whether you enter the giveaway or not, let me know what you think of the new covers! They look amazing! The tweaks definitely make them stand out more and WHAT’S THAT I SEE? Two people instead of one in TWWF? Lovin’ the new covers! I’m a teacher librarian at a school in the PDSB and have five copies of the novel for my White Pine reading club that starts on Monday. Hopefully I’ll be able to meet you on the tour – I’m currently figuring out which day works best for me! I’m interested in chatting with you about a possible visit to my school, so if you can, please drop me a line. Awesome! I’d love to do a visit, and will e-mail you shortly. Hope you’re able to make it to one of the tour stops! They are gorgeous! I especially love the blue for The Lives We Lost. It’s still set to come out on 2/12, right? Because that’s my birthday! Yes, the release date is still the same! 🙂 Yay for birthday books! And I love these cover redesigns. So subtle, yet it shows so much more about the plot! I’m not sure… The email address given with that entry wasn’t your BookNerd one but a Hotmail one with initials and a last name. I sent an email to that address letting the person know they’d won, so if that’s you, email me! Hmm I didn’t receive the email. I swear I entered this too. Is it from gsmiguel(at)hotmail ?